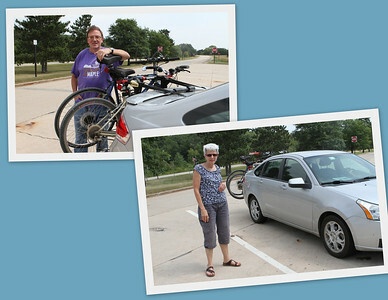 As part of our "Getting to know Wisconsin" series we headed out on the road (August 20th-22nd) with our two bicycles on board to La Crosse & Sparta. 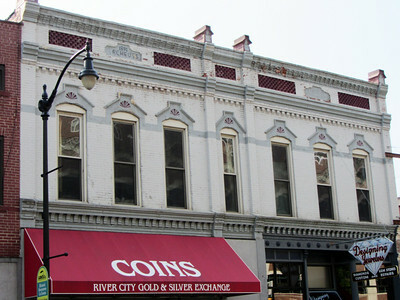 Ideally located between the tall,limestone bluffs and the mighty Mississippi River, La Crosse is in the heart of what is known as the "Driftless Region"- an area of Western Wisconsin and Southeastern Minnesota that was spared the flattening effects of the Ice Age glaciers that covered two-thirds of North America. 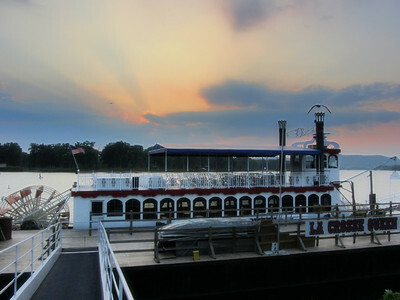 With its steep, hardwood studded hills and deep valleys intact, the region's rugged beauty is unequaled anywhere in the Midwest. 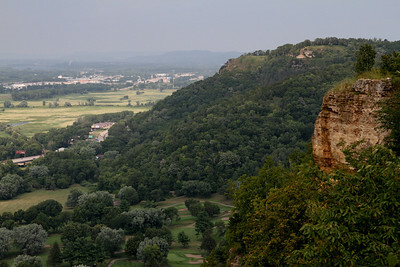 From the heights of the 590 foot high bluff called Grandad Bluff, from which you can see the Mississippi River, and neighboring Iowa and Minnesota, to the lovely Riverside Park, joining bicycle trails and International Friendship Gardens - La Crosse remains "a choice town" - a phrase coined in the mid 1800's. 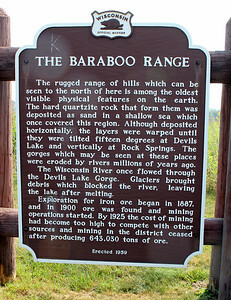 On our way back to Middleton we ventured to the nation's first "rail-to-trails" in Sparta, Wisconsin - the Bicycling Capital of America. 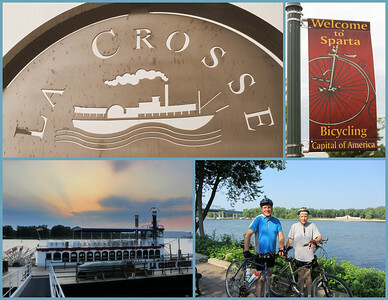 Here's a look at two gems in Southwest Wisconsin - La Crosse by the Mississippi River & Sparta - one the of most popular bicycling destinations in the country. 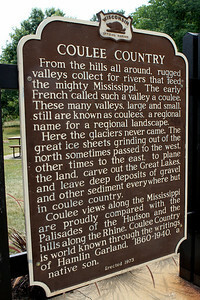 On the way to La Crosse we stopped to read Wisconsin Historical Landmarks - learning on the journey. 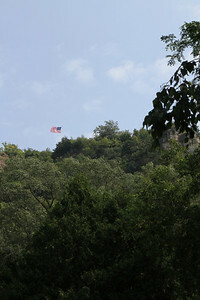 At the bottom looking up to the flag at the top of Grandad Bluff. 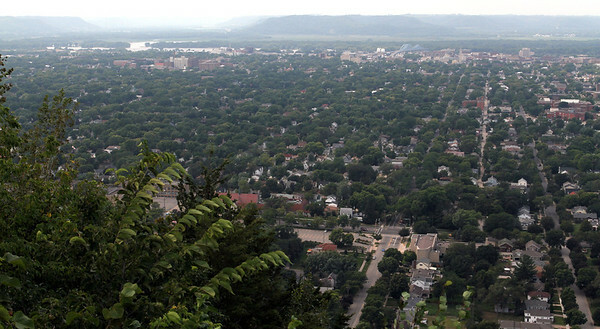 The bluff view is unparalleled along the Mighty Mississippi River - here the tree lined streets of La Crosse are backed by the river, with Minnesota due west and Iowa to the Southwest. 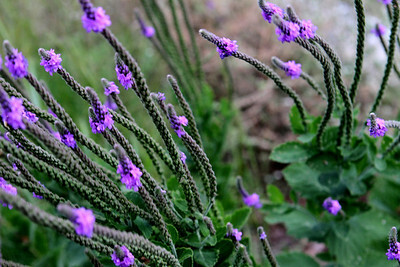 At the top are walking trails and colorful views of natural habitat. 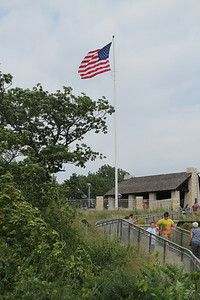 Blowing in the winds on the bluff. 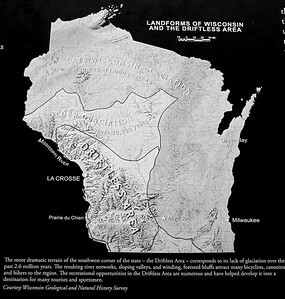 Landforms of Wisconsin and the Driftless Area. 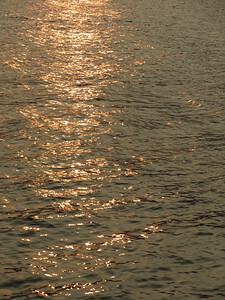 There's always a reason why humans move, settle, and sometimes move on. 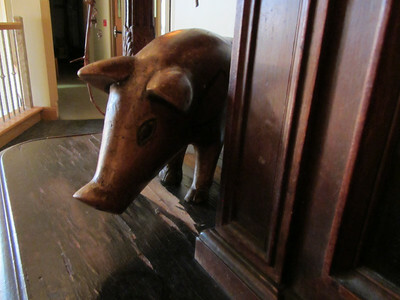 Not only great views and trails on the bluff, but farming too. 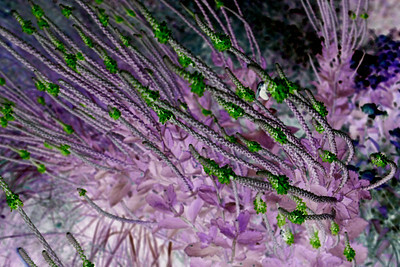 This is a special photographic effect to enhance the colors of wind blown flora. 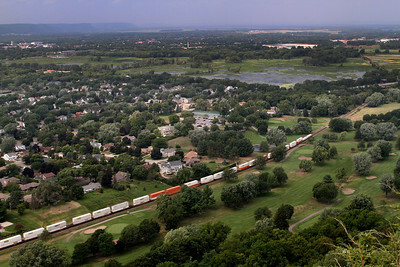 A long freight train heads south along the valley floor. 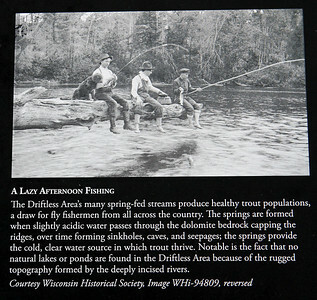 Wisconsin Trail readers voted the view from the bluff as the second most scenic in the state. 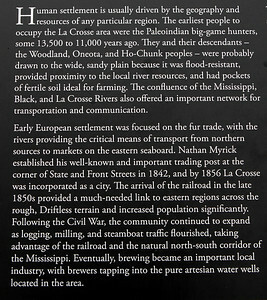 Mark Twain describes the town of La Crosse in his "Life on the Mississippi River" in 1883. 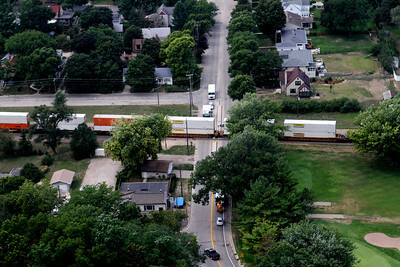 La Crosse's population today is approximately 52,000. 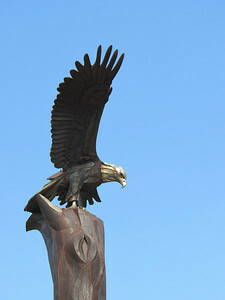 La Crosse Eagle: This majestic sculpture by artist Elmer Petersen stands 38-feet tall as it watches over the Mississippi River and Riverside Park. 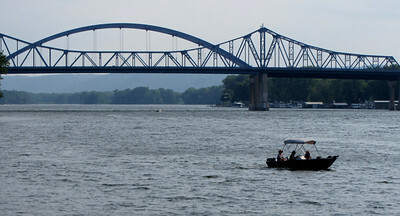 Eagles are present in large numbers in the La Crosse area - more than 150 have been spotted at one time. 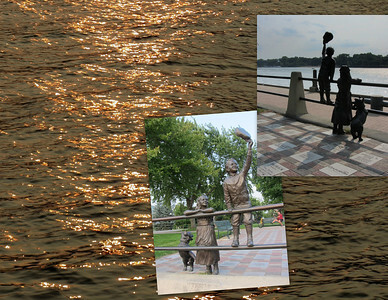 Set along the levee on the bank of the Mississippi River, "A Simpler Time" is a sculpture by local artist Mike Martino. 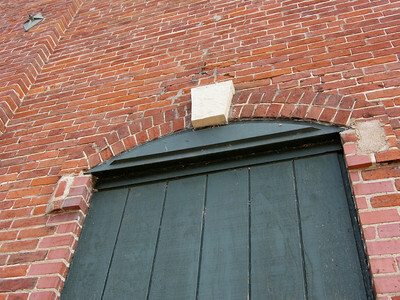 The life-size sculpture is surrounded by a plaza of inlay bricks inscribed with the names of contributors. 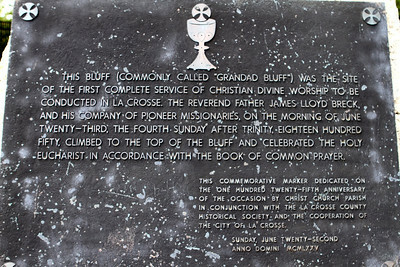 Located in Riverside Park. 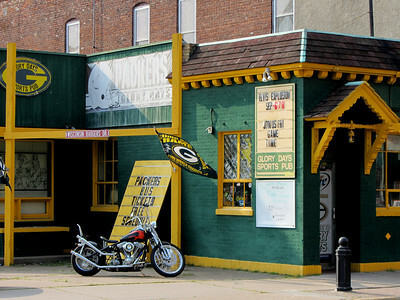 Yes, you can get tickets here for the bus that goes to Green Bay Packers home games. 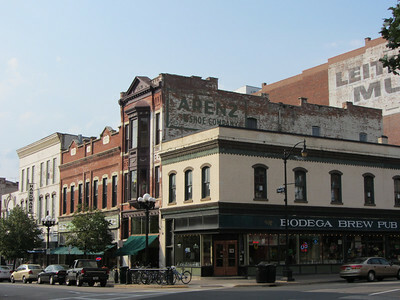 Many of the late 1800 buildings in the historic district of La Crosse have been preserved and are still used commercially. 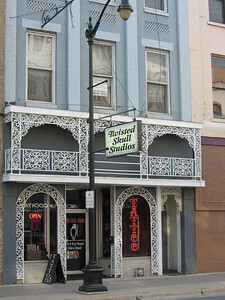 Twisted Skull Studios on the 2nd floor, Tattoo on the first. 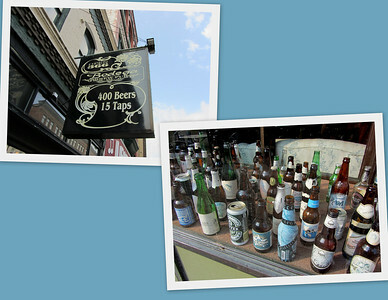 Beers for every taste - bottles, cans or on tap. 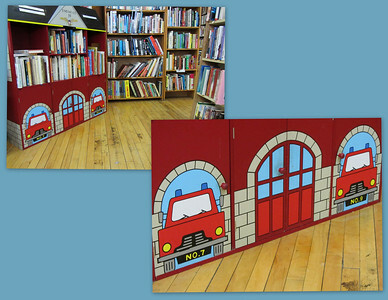 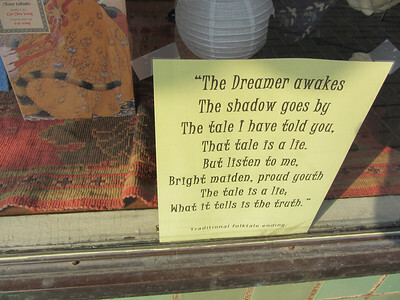 A traditional folktale ending in the window. 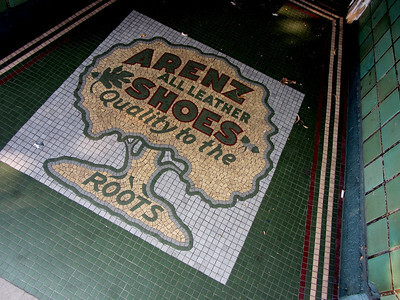 Once the home of Arnez Shoes is now a book store. 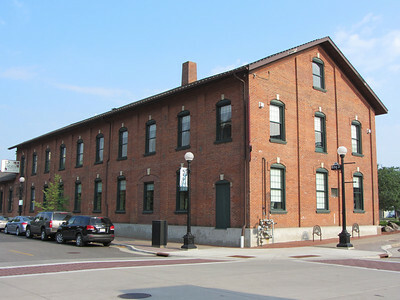 No.7 and No. 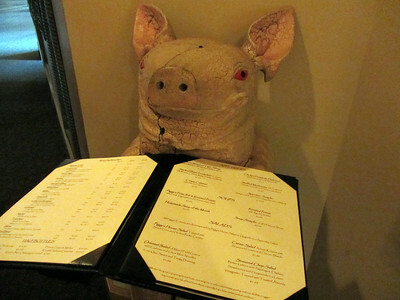 9 are ready to roll. 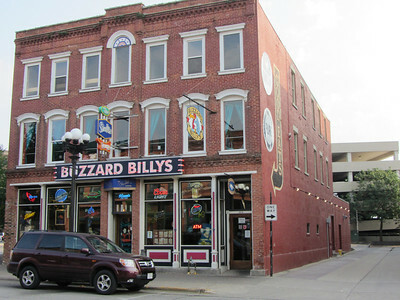 There's probably a story behind the name Buzzard Billy's. 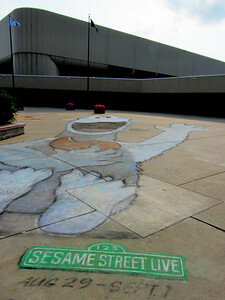 Cookie Monster is alive and well in La Crosse - " C is for Cookie, that's good enough for me". 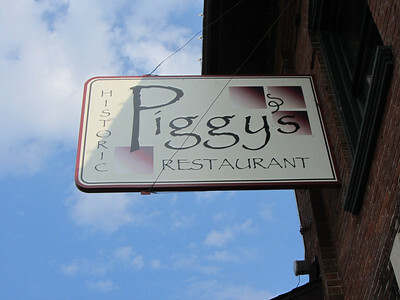 Sign for Historic Piggy's Restaurant. 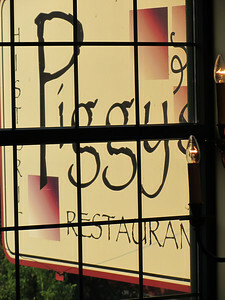 Yes, there's often a pig theme displayed in the restaurant - once a smokehouse they couldn't let go of the name. 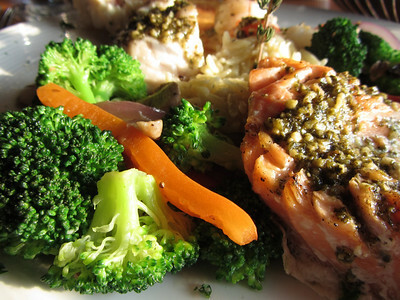 Yes, the seafood was as delicious as claimed. 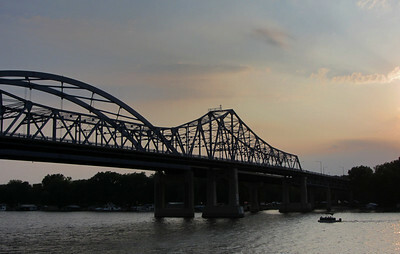 The Mississippi River Bridge aka the "Big Blue Bridges" at dusk. 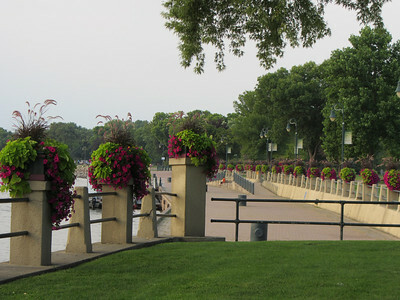 Riverside Park along the banks of the Mississippi River, La Crosse, Wisconsin. 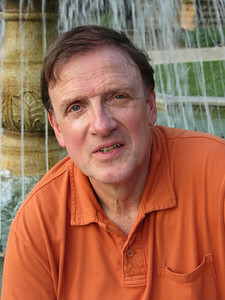 Kent in Riverside Park, La Crosse. 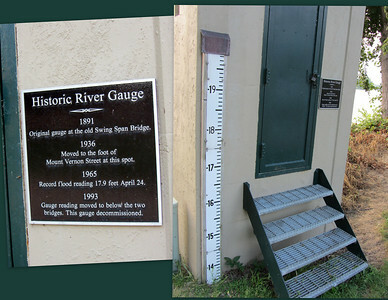 Historic River Gauge. 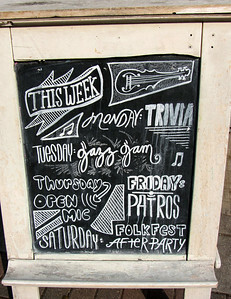 And so you're ready for the next trivia contest, the record flood reading of 17.9 feet was recorded on April 24th, 1965.